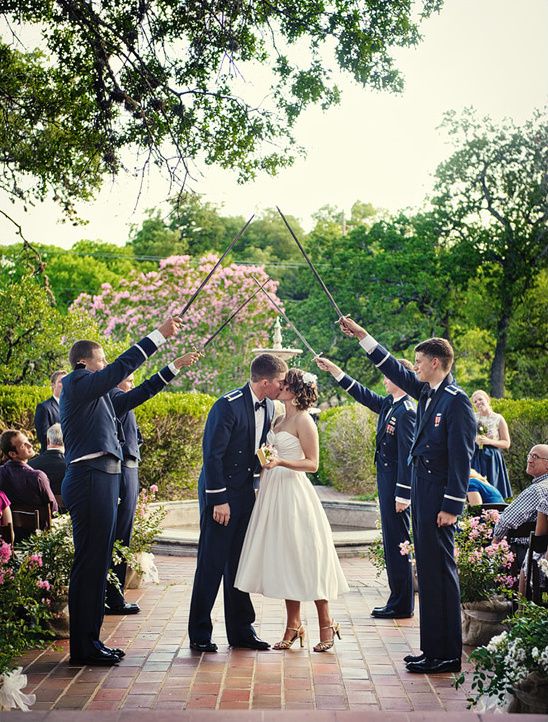 Who is on the hunt for the perfect Texas Wedding Venue? Well, there is a splendid venue that you might want to check out called Perry Mansion in Austin, TX. 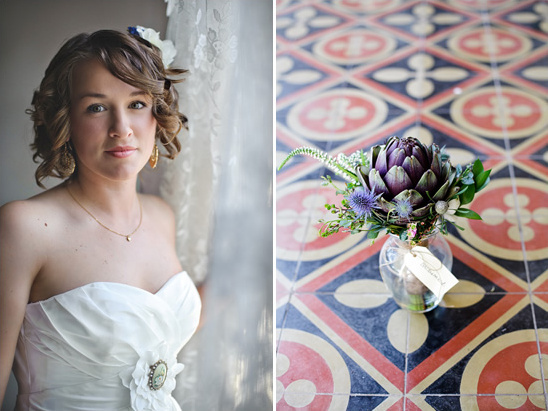 A gorgeous venue with lush gardens and rustic Spanish decor. 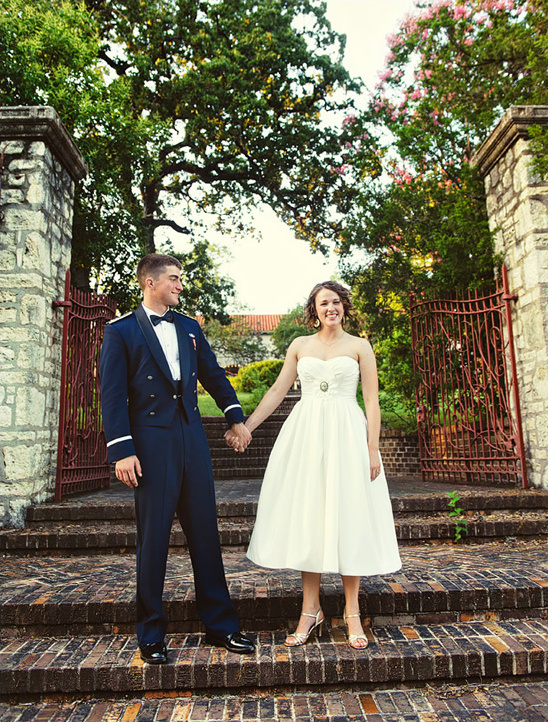 Perry Mansion was the perfect setting for Christen and Brian's wedding. 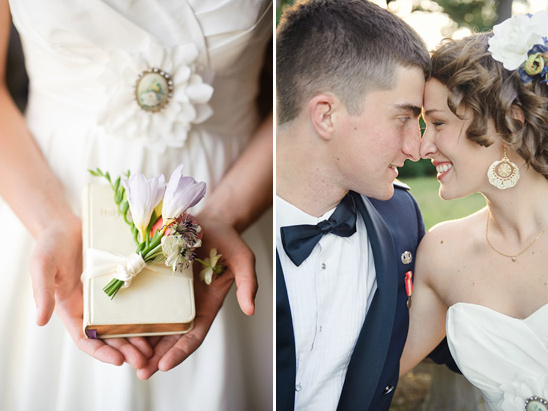 Their wedding was filled to the brim with family heirlooms including original art that belonged to Christen's family. 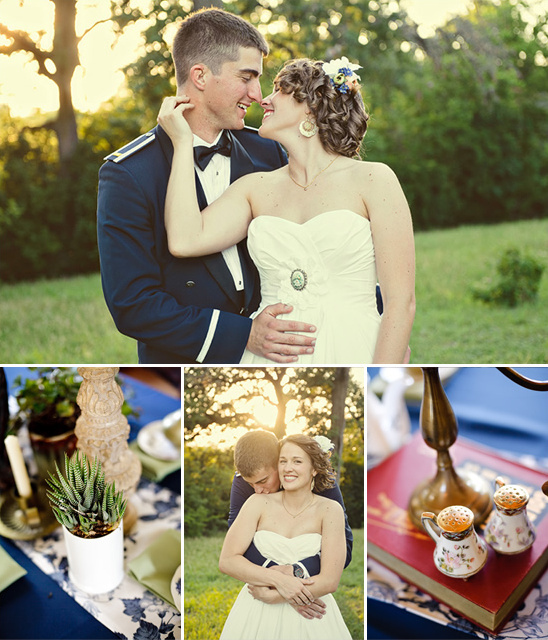 Christen was beautiful in a tea length gown and Brian wore traditional military dress. 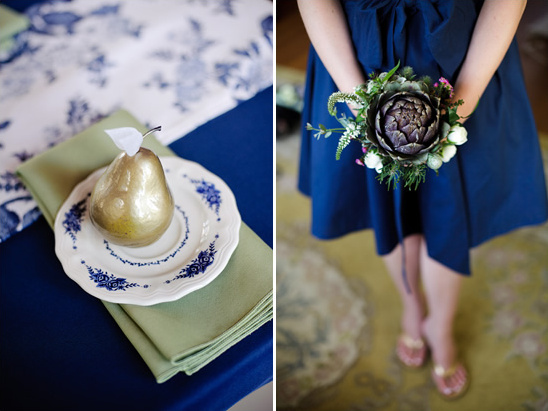 Which tied in ever so nicely with their navy blue wedding decor. Be sure to check out the entire wedding here you will not want to miss out on all the details.